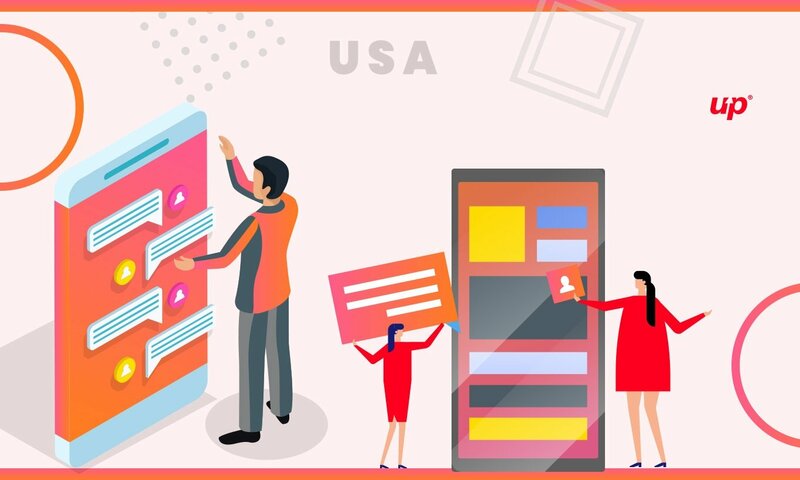 Everyone nowadays is going for the mobile app development process to make their business popular not only in one country but all over the world. This idea must have crossed your mind too. Isn’t it? However, thinking to develop an app and implementing the idea, in reality, both are two different things. The entire process is quite challenging if you decide to do it without a proper team or money. Therefore, it is always recommended to hire the best mobile app developers. One of the key reasons behind it is that you cannot just build an app without focusing on its performance. Yes, to actually enhance your business productivity with the help of a mobile app, you need to develop it in a way that it does not have any bug. Moreover, your mobile app acts like the face of your brand and if users get stuck performing even a single task in your app, there are chances that they will uninstall it. After all, there are countless applications available on the market so why would they access a sluggish app. Keeping all these points in mind, today I have come up with a list of some well-known mobile app development companies. These organizations help you to develop a robust, scalable, and reliable app. So, let’s get started without any further ado. The first organization, I would like to mention is WillowTree, Inc. Their elite team is popularly known for the development of responsive websites, mobile apps, bots, etc. They are expert in putting the right talent into suitable work. With a team of 200+ seasoned developers, marketers, researchers, and more, they actually have taken over the market of app development. Their extraordinary team and a clear motive have really helped them to achieve such a position. With its establishment in New York City, Dom & Tom has now become the first choice for numerous organizations when it comes to mobile app development. From Android to iOS, the company is ready to give you all the simplified solutions. In addition, Dom & Tom strongly believe in customer satisfaction, therefore, build the apps that have a simple user interface. The reason for placing this organization in the third position is that it has become one of the fastest growing iOS or Android app development organizations globally. Started in the year of 2013, Fluper has already added numerous feathers in its cap. With a team of expert developers having core competencies needed for the app development, it has a large number of clients’ list. They offer Android, iOS, iPad App Development, and more. Moreover, the organization is known for on-time delivery and cost-effective solutions. This is an award-winning application designing and development organization. ArcTouch is meant to construct the product that powers the IoT, including custom Android, iOS, and Xamarin applications. Moreover, they are also into AI bots for platforms, such as Amazon Alexa and Facebook Messenger. Their customers go from the big industries to startups, such as 3M, Audi, CBS, Guess, NBC, Tile and more. ArcTech knows that each business is one of its own kinds. Hence, they utilize an extensive variety of applications methodologies and plans to meet particular business needs. From characterizing system to designing and testing, everything is done in a streamlined way. Blue Label Labs is an organization, based in New York City and Seattle, which works on mobile apps development, IoT and AR/VR application advancement. Within 6 years, they have served multiple startups, as well as big enterprises. Blue Label Labs have already developed more than 250 iOS and Android-based applications. The organization can help you with everything from starting an application plan, development, to its promotion through PR, digital marketing, etc. Utility has its core expertise in creating custom mobile applications, as well as web programming. This mobile app development company is known among different organizations, from startups to brands. Their team comprised of market researchers, technical geeks, and the best level programming engineers. It would not be wrong to say that it has simplified the technology and helped businesses to enhance their global reach. Moreover, all the solutions offered by Utility are cost-effective, allowing small companies to develop their own business app. Since its inception, WVE LABS has now become a pool of talented and fantastic team with a wider goal of serving their clients the best. Developing mobile apps by using cutting-edge technologies that helps the businesses to flourish is what they focus on. WVE LABS helps their clients by delivering exactly the same, what they wish for. Moreover, they have served numerous clients globally; hence know how to handle different requirements of their clients and how to give a fresh touch to their projects. Another organization I would like to mention is Intuz. This is a top-class app development company, which has the potential to build iOS and Android apps with multiple features required for smooth processes. Based on San Francisco, Intuz is gaining popularity across the world. It was established in the year 2008 and is one of the best organizations to trust upon. Numerous startups have developed their own mobile apps, which are getting the attention of the user in the App store. Not only startups, big enterprises have also taken the advantages of their solutions and services. They have an expert team of full-stack developers for building sophisticated and innovative software applications with the help of native and React native frameworks. Scalable, impeccable, and smooth mobile application is what you need to increase your business productivity. Whether it is about iPhone app development, Android App development, or iOS app development, and you need to be cautious about it appropriate working. The competition is not easy and to win the race, it is essential to develop an app appropriately. Therefore, considering all these things, I have shared top 8 app Development Companies in the USA. You can choose any of them and take your business to the next level. Also, please let me know if missed any of the crucial company that you would like to mention. You suggestions are important to us.